CARROT Weather has had one of the top tier Apple Watch apps for a long time now. In the early days of the Watch, CARROT was one of the few apps that loaded quickly and worked reliably. Since third-party complications were introduced, CARROT’s had some of the best. With the latest update though, CARROT has extended its Watch app’s functionality and flexibility even further and added a few other great features too. Custom complications, which are limited to Premium Club subscribers, allow you to pair two data points from more than a dozen options in one small complication. For example, you can pair the temperature and ‘feels like’ temperature in one small complication and the wind speed with the UV index in another. On the Infograph face, you’ve got the corner, top center circle, and another circular complication to work with for a maximum of six data points. 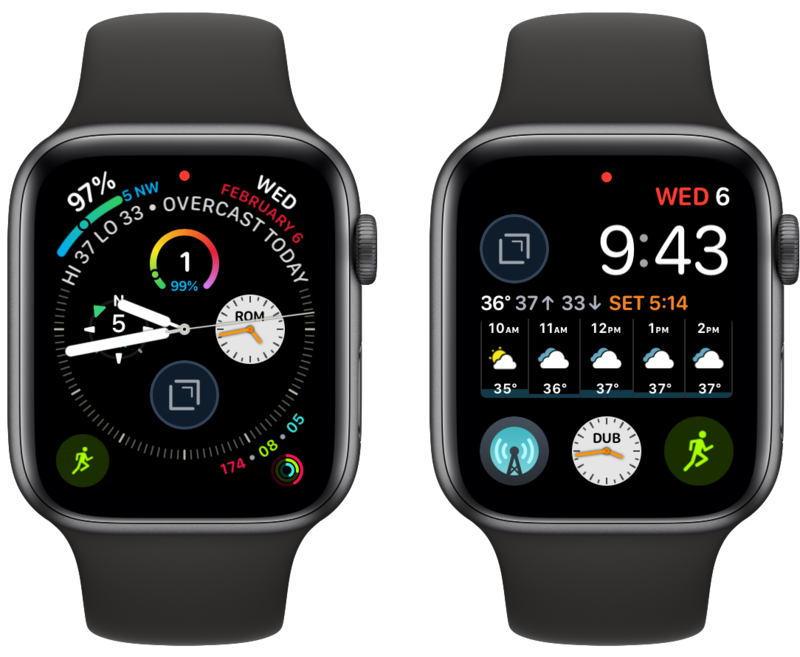 For Ultrapremium Club subscribers, there’s a new weather map complication that can be tapped to open the maps screen too. The large center slot on the Infograph Modular watch face is also customizable. Premium Club subscribers can pick between a 5-hour or 10-hour forecast chart or a text-only description of the weather. The Infograph Modular face's 10-hour, 5-hour, and text-only forecasts. The other addition to complications is what developer Brian Mueller calls complication shortcuts. 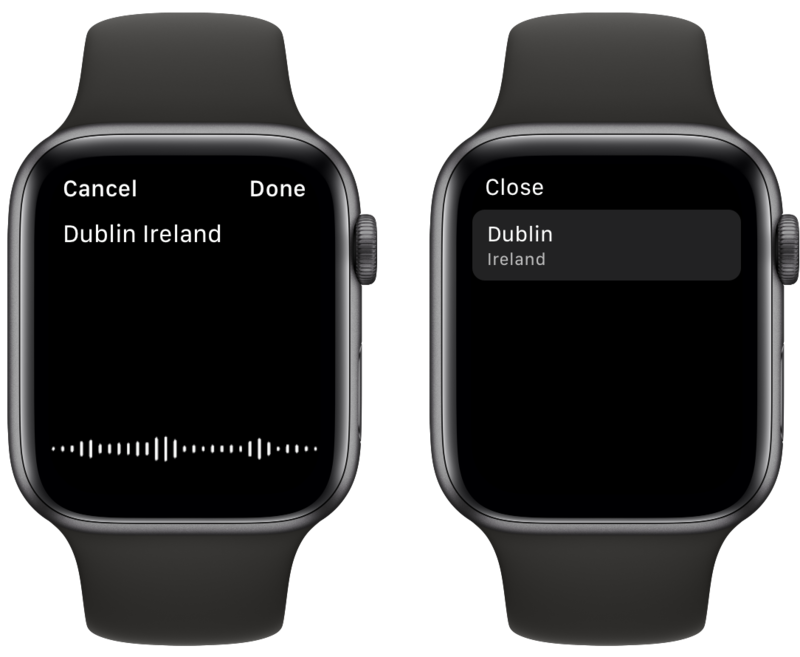 Also a Premium Club subscriber feature, shortcuts take you from a complication to the spot in the Watch app that has more details on the data displayed. The feature only works with small complications that show one data point. That means the feature doesn’t work with the new customizable complications, but if you have a small complication dedicated to something like the UV index or wind speed, tapping on it will take you directly to the hourly forecast with that data included in the summary. The main Watch app’s hourly forecast can also be customized to add any of a dozen different measurements. There are a few other new features too. Adding a city to CARROT can be done using voice search from the app’s Locations screen, which is accessed by force pressing the app’s main UI. Adding weather for a city using voice search. From the daily forecast detail view, you can now tap the summary to advance from one day to the next. It’s a fantastic addition because it eliminates having to go back to the summary forecast to move to the next day’s detailed forecast. As someone who uses a home weather station as a data source when I’m near my home, I also appreciate that the radius within which that data is used by CARROT is now customizable. The data from my Netatmo weather station used to be displayed whenever I was within two miles of my home. Now, that data can be set to be shown within 1, 2, 3, 4, 5, 10, 15, or 20 miles of my home. 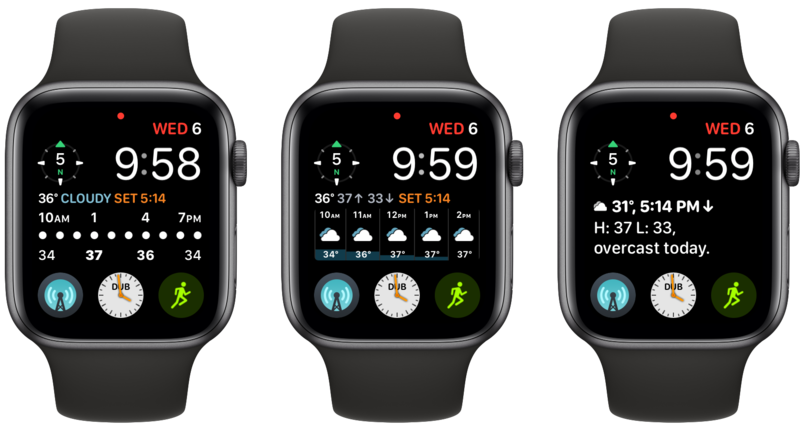 The variety of combinations of weather information that can be displayed on an Apple Watch using CARROT Weather is more extensive than ever before. What I like most about having so many options is that I can create a set of data that’s relevant to me, which can vary depending on the time of year or what I’m doing. It’s a powerful mix of functionality that makes CARROT Weather’s Watch app stand out above any other I’ve used. CARROT Weather is available on the App Store for $4.99. Many of the Apple Watch app features added in this update require a Premium Club ($0.49/mo. or $3.99/year) or Ultrapremium Club ($1.49/mo. or $9.99/year) subscription.